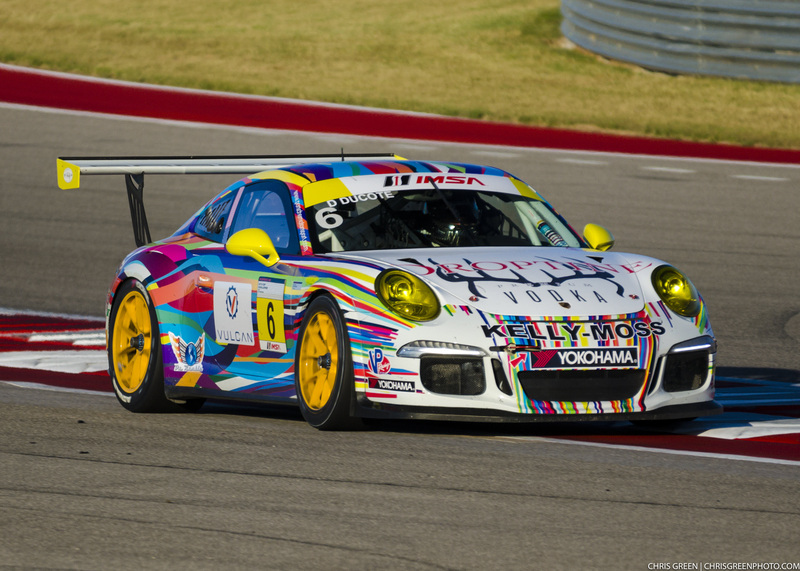 Austin, Texas (8 May 2017) – Kelly-Moss Road and Race (KMR) was once again in IMSA GT3 Cup Challenge USA by Yokohama Victory Lane over the weekend at Circuit of the Americas as the championship-leading team staged a strong six car entry in the doubleheader event weekend. 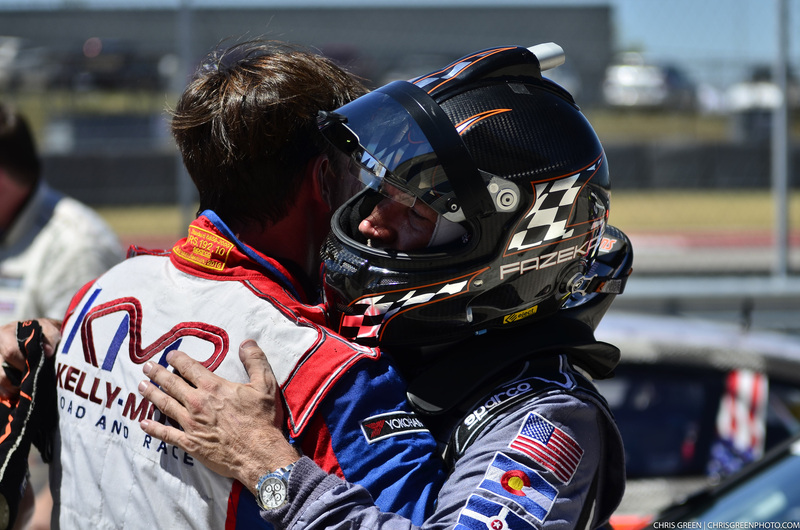 David Ducote marked his return to race action, as well as new partnerships with Droptine Spirits and Vulcan Industrial, with a second place result on Friday which earned him a trip to the podium. With the rust properly shaken off, he then went on to score a Gold Class victory on Saturday with a dominating run out front in Race 2. The COTA weekend, which has been a favored event for KMR with scores of podium visits through the years, did not feature the kind of straightforward races that the team had been hoping for with some contact adding extra challenges for both events. 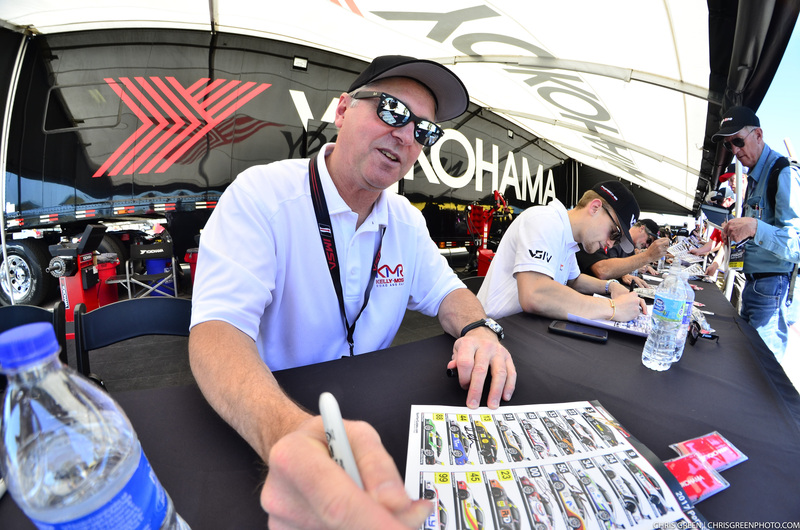 But with a focus on points and championship battles, the KMR drivers persevered to the finish. Tom Haacker scored second in Platinum Masters in the Monster Digital machine on Friday, with Indianapolis’ Kurt Fazekas taking sixth in the Gold class. 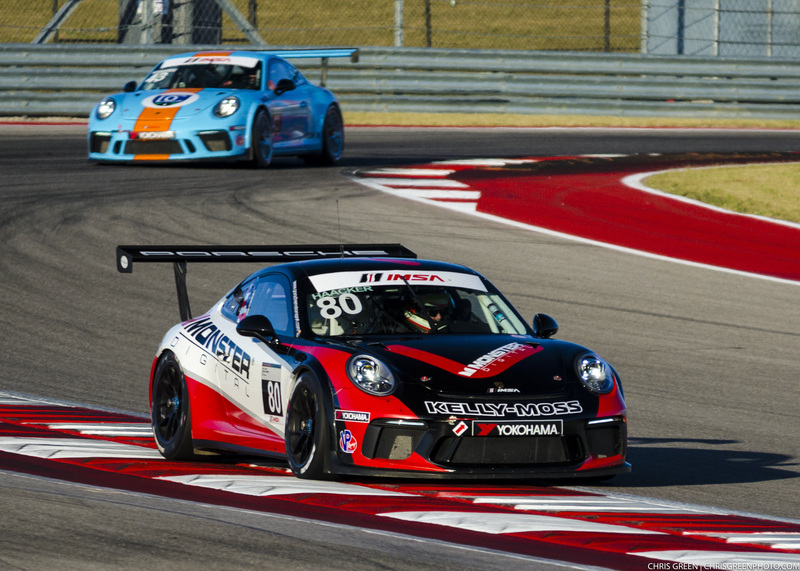 Greg Palmer netted a top-10 in his first ever COTA event in IMSA competition, and then continued his progress with sixth place in the Gold Class on Saturday. 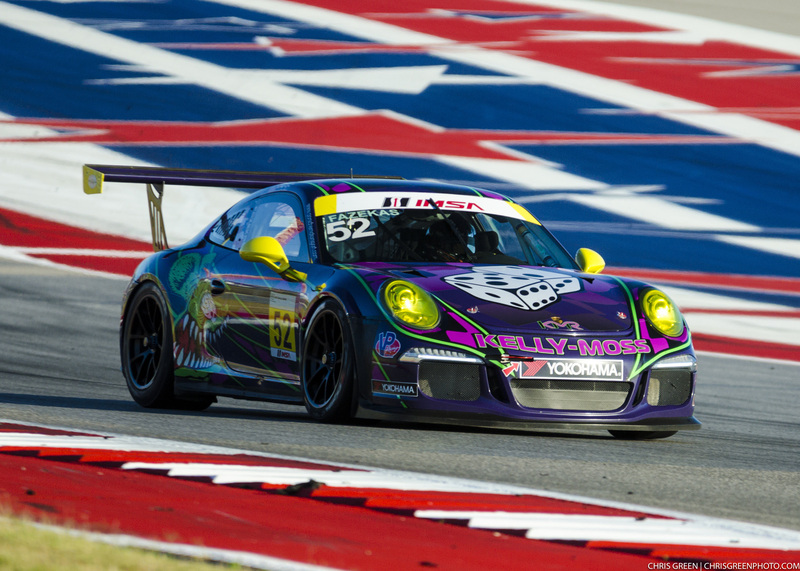 Palmer made his third IMSA start of the year continued to make progress throughout the COTA weekend. 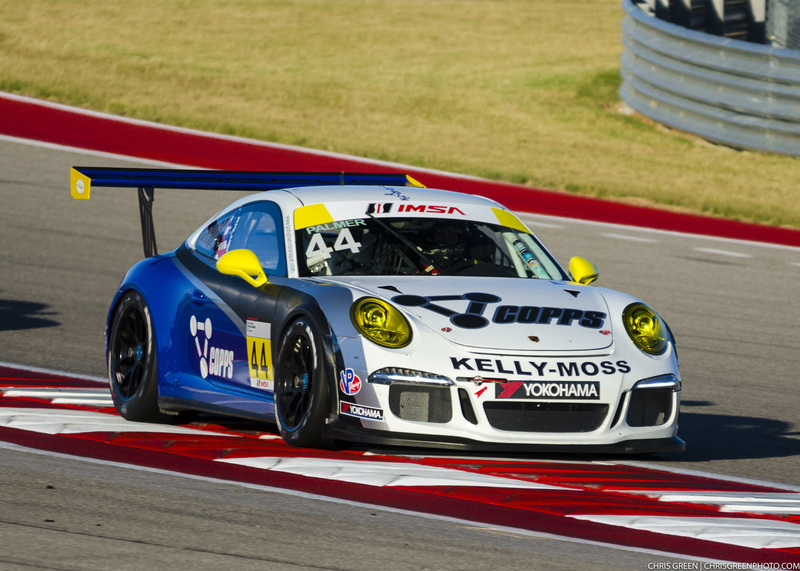 Next up for the IMSA effort will be the race at Watkins Glen International (June 30-July 2), and KMR will head home to Madison, Wisconsin and begin preparations for another strong outing in just over a month’s time.